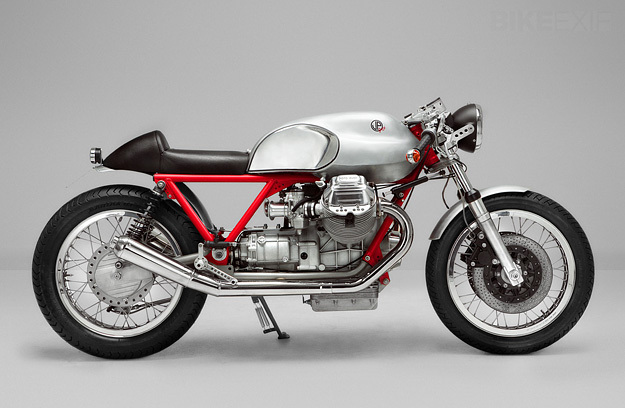 If you live in Germany and hanker after a custom Moto Guzzi, the man to speak to is Axel Budde of Kaffeemaschine. 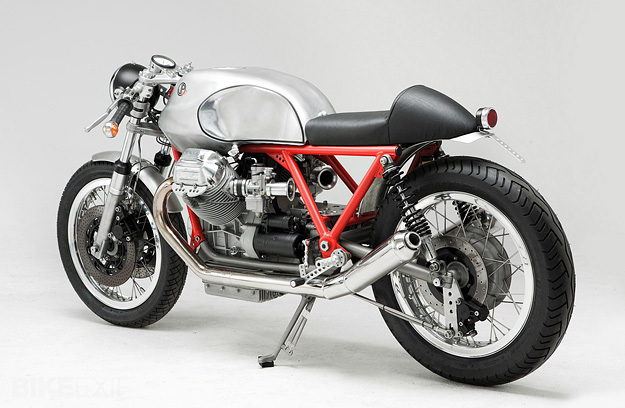 His latest bike is this café racer, based on the T3 California—and to my eyes it looks much better than Moto Guzzi’s own rather gaudy V7 Cafe Racer. 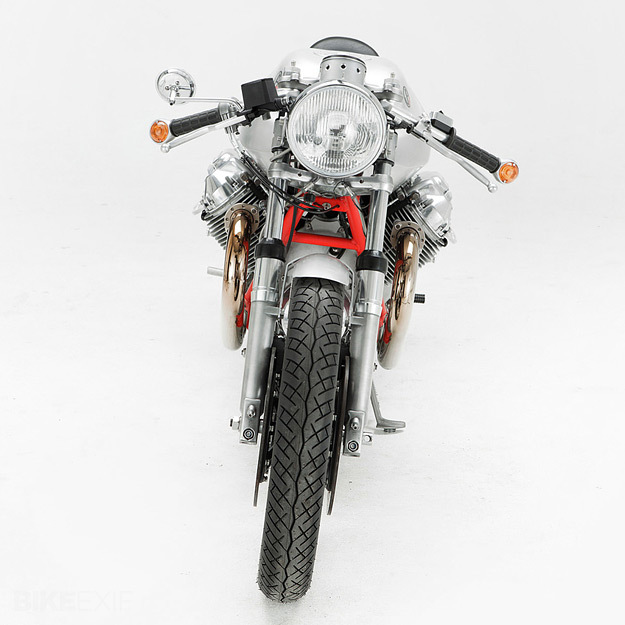 Budde’s reputation extends beyond national borders, and he built this particular bike to order for an English customer. The California was a touring machine popular with police forces: a good bike in its day, but a little too ponderous compared to the BMW R90/6. So Budde immediately put the California on a diet, dropping the dry weight down to 180 kg (396 lbs) and removing three kilos of unwanted metal from the frame alone. He uprated the motor to Le Mans 850 specs, coaxing 76 hp out of it, and fitted heavily modified forks from a Le Mans Mk III. 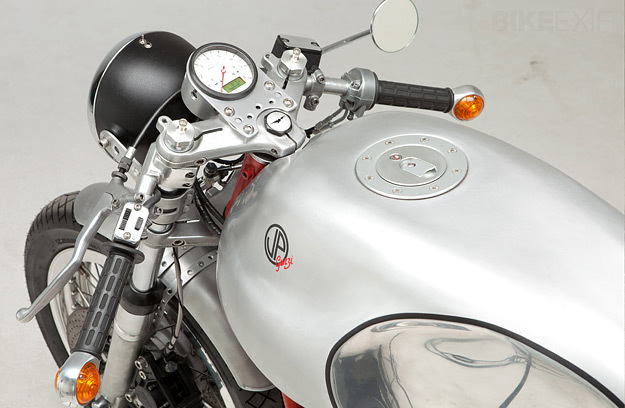 All the custom components on this bike were crafted by hand, and Budde even modified the few aftermarket parts he fitted—such as the Tommaselli throttle control—to match the overall look. 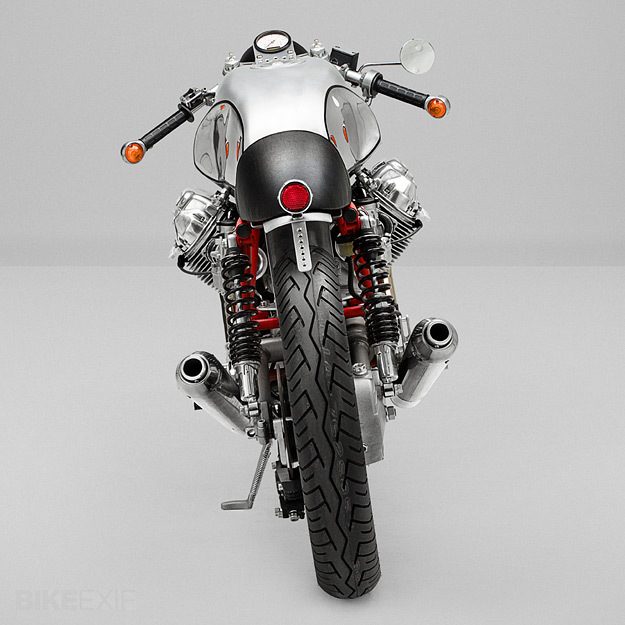 In keeping with the minimalist theme, he also wired up a simple electrical system, including a Motogadget instrument, electronic ignition and Dyna coils. 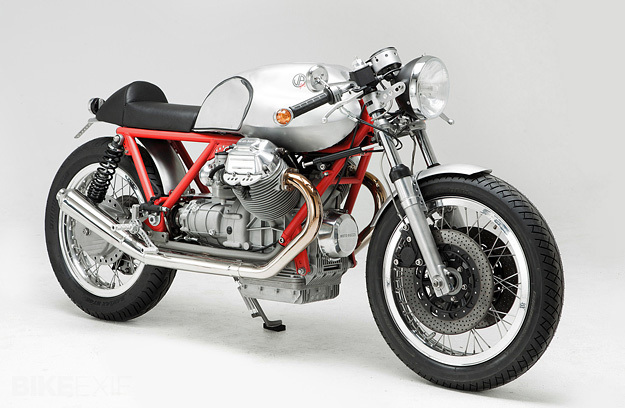 Head over to the Kaffeemaschine website to see two more gorgeous bespoke bikes, all based on the classic Moto Guzzi V-twin engine and frame.